As emission regulations become increasingly stringent, the pressure on vehicle manufacturers to reduce emissions and improve efficiency has risen significantly. NGK is the world’s largest original equipment manufacturer and OE supplier of spark plugs and as such, they are continually growing their range of precious metal spark plugs. 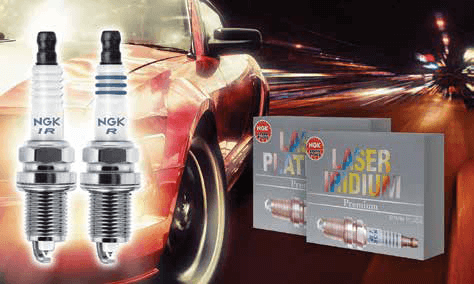 NGK’s precious metal spark plugs deliver superior ignitability, when compared against conventional spark plugs, and are designed to meet and surpass the modern requirements of vehicle manufacturers. “We have developed a series of innovative techniques that allow us to include precious metals such as Iridium and Platinum in our spark plug manufacturing process,” said James Filshie, Senior Product Manager, NGK Spark Plugs Australia. While a number of spark plug manufacturers produce a precious metal range, NGK is driving this technology further to improve performance, longevity and to lower emissions. Precious metals such as the ones described by James have much higher melting points over traditional metals such as nickel. “Incorporating precious metals into our spark plug range allows center electrode diameters to reduce from 2.5mm using nickel to 0.6mm using iridium or 0.8mm using platinum, which reduces the quenching effect and improves ignitability,” James explained. Quenching occurs when heat energy is lost from the hot flame kernel to the cooler electrodes, as the flame attempts to expand and combust the air/fuel mixture. Reducing the center electrode diameter decreases this effect. The results are impressive and installing precious metal spark plugs delivers improved acceleration, smoother idling, and improved fuel consumption. To ensure quick, easy and precise fitment each and every time, all NGK spark plugs feature cold-rolled threads that prevent cross-threading and damage to cylinder heads and trivalent metal plating that negates the use of anti-seize during installation. NGK has an extensive range of spark plugs specifically engineered to meet each OE manufacturer’s requirements. For peace of mind, always ensure you use a plug recommended to meet the OE specification. This will avoid any damage and ensure peak performance of your vehicle.